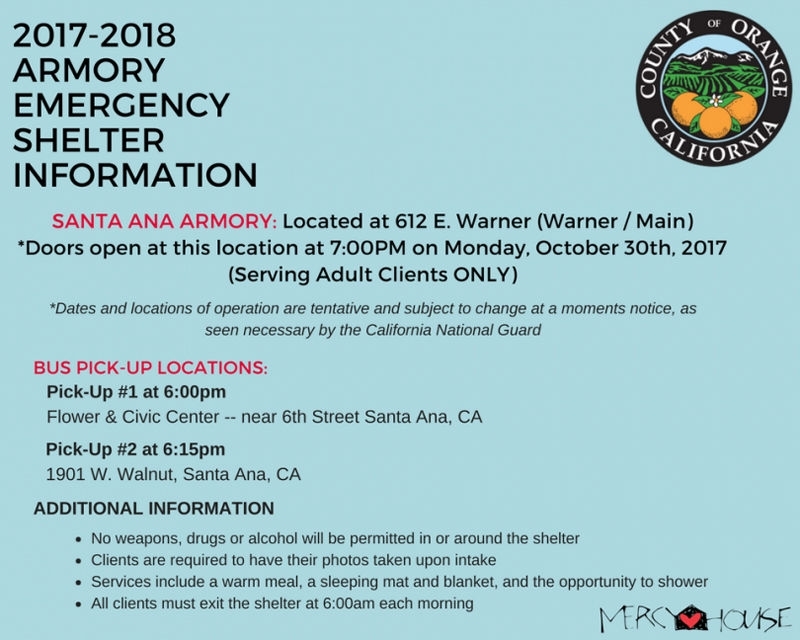 The Orange County Cold Weather Armory Emergency Shelter program provides shelter and services for the homeless at the National Guard Armories during cold weather months. The homeless will receive a nutritious meal, a warm shower, and a safe place to sleep. Volunteers will pass out donations of warm clothing and Service Providers from Orange County will be on site to provide needed services.